Some data suggest esophageal cancer may be more common among patients diagnosed with achalasia, but there are no relevant screening guidelines. Achalasia is a relatively rare esophageal motility disorder characterized by incomplete relaxation of the lower esophageal sphincter (LES) and lack of esophageal peristalsis.1 The disorder has an incidence of approximately 1 to 1.6 per 100,000 people.2 Men, women, and all races are affected equally. Most patients will clinically present with dysphagia, regurgitation of solids or liquids, aspiration, and/or heartburn between the ages of 30 and 60. Although the exact pathophysiology underlying achalasia is not fully understood, there is degeneration of ganglion cells within the esophagus and LES. There is some debate as to whether there is an autoimmune and/or viral component that promotes this neurodegeneration, though additional data are needed to support this. Achalasia is a challenging disorder to treat, and it is further complicated by studies supporting an increased risk of cancer in these patients. There are several potential explanations for this correlation. Patients with achalasia have overall decreased esophageal motility, which may provide a nidus for chronic inflammation by reduced clearance of food and bacteria from the esophagus. If acid is able to traverse the LES, the increased LES pressure and lack of peristalsis may prolong exposure of the esophageal mucosa to acid. One study prospectively followed close to 450 patients with achalasia for a mean follow-up of 9.6 years.3 Fifteen (3.3%) patients developed esophageal cancer during this study, with a mean age for cancer diagnosis of 71 years old. Patients who developed esophageal cancer did so after a mean of 24 years after the patients’ initial symptoms developed, and 11 years after their first clinical presentation. When compared to matched controls, patients with achalasia had a 28 times increased risk of developing esophageal cancer, although the overall annual incidence was extremely low, at 0.34%. Although the study found an increased risk of esophageal cancer, the study did not delineate the different types of esophageal cancer. There are 2 primary types of esophageal cancer: squamous cell and adenocarcinoma. Adenocarcinoma is more common in the United States, and typically has precursor lesions such as Barrett’s Esophagus. A study retrospectively reviewed close to 3000 patients in Sweden diagnosed with achalasia and found 22 cases of esophageal cancer in 38 years.4 There was an increased risk of both adenocarcinoma (10.4 times) and squamous cell carcinoma (11.0 times) when achalasia patients were matched with the appropriate controls. Based on previous studies, it may take up to 400 screening endoscopies to detect 1 cancer among patients with achalasia. 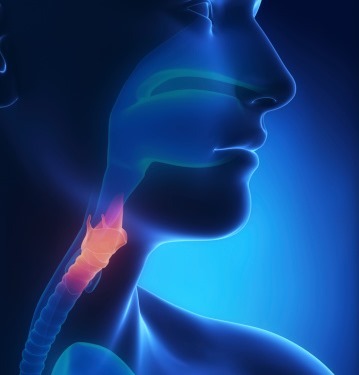 Despite having an increased risk of esophageal cancer, there is no recommendation for esophageal cancer screening among patients with achalasia.5 Although there are no formal screening guidelines, there are limited data to support upper endoscopies every 3 years once the patient has been diagnosed with achalasia for at least 10 years. Hirota WK, Zuckerman MJ, Adler DG, et al. ASGE guideline: the role of endoscopy in the surveillance of premalignant conditions of the upper GI tract. Gastrointest Endosc. 2006;63(4):570-80.